Lexington Road in Irish Hill is about to see major construction on a site abandoned for decades. 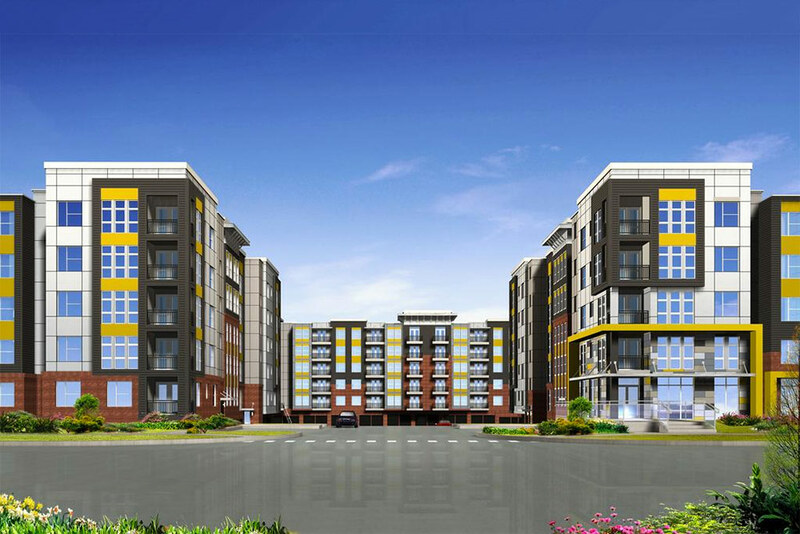 Sheldon Shafer reported in the Courier-Journal today that construction permits were issued for the so-called Axis Apartments slated for a site across from Distillery Commons and Headliners Music Hall. 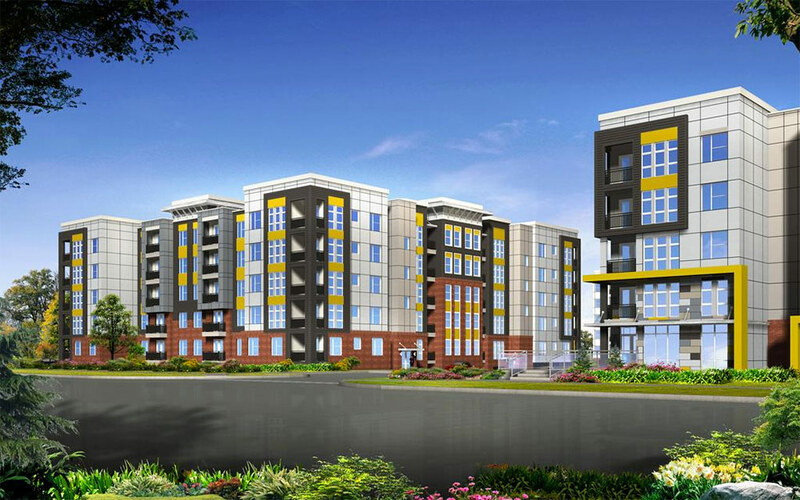 As we previously reported, the $45 million project developed by Indianapolis-based Cityscape Residential will bring 300 new apartments to the street. The complex includes three, five-story buildings. We lamented then that the project brought with it no urban street vitality, effectively making the development just another auto-oriented apartment complex built in an urban style. There’s little walkability in this stretch of Irish Hill and the Axis doesn’t look to fix that. Shafer’s report appears to confirm that this development will require a car as the development contains over 500 parking spaces. According to Shafer, five permits pertaining to foundation work have been issued. Site prep work has already been going on for a while at the site and a formal groundbreaking is scheduled for the spring. Apartments will range from $800 for a studio to $1,700 for a two-bedroom unit. If all goes as planned, the first units at the site will be available by the end of 2016 with the full project opening in 2017. For more information, check out Shafer’s report. It is a huge upgrade for the neighborhood. Parking spaces are built into the code. Yes but this includes well more than the minimum number of parking spaces. Maureen, learn the code, is it less than the maximum? Parking has a minimum and maximum allowed. Anything less than the minimum or more than the maximum has a $ cost associated with it, making it non compliant, then creating a waiver (another cost). Haha James, I don’t need YOU to lecture me about the code. Try again when you understand the point people are trying to make. Maureen, what IS the point? what or who are these “people”? Simply saying there are 2 sides to every story, you do know when only one side is broadcast that is bias (like a bicycle advocate, I bike for recreation and health, not a daily means of travel). I am just saying when people (the bias ones) make a statement like, “Yes but this includes well more than the minimum number of parking spaces”, if someone doesn’t know, the reader might think something illegal is being done, when it’s not. I respect your opinion on the matter, but let’s be fair. Waivers and variances are not illegal because they are allowed as options to the code that are approved by boards. No rules broken.